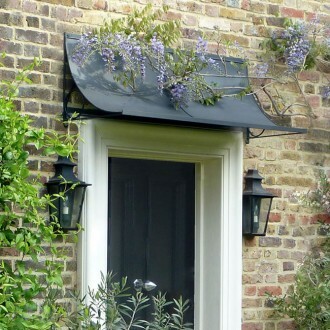 Getting wet whilst standing in front of your door can be prevented by investing in a canopy over your doorway. An added bonus is that it also keeps the rain away from running down the top of your door, causing the timber to swell. shorter than the standard height of 19”, down to 12.5” or even 7.5”. Please call us on 01225 851577 to talk with us about your doorway or to place an order.